Part of War and Peace in the Nuclear Age. Haig inspects NATO troops before Reforger exercise. The first atomic explosion in the New Mexico desert on July 16, 1945, changed the world forever. This series chronicles these changes and the history of a new era. It traces the development of nuclear weapons, the evolution of nuclear strategy, and the politics of a world with the power to destroy itself. President Reagan and Soviet Secretary Gorbachev sign the INF Agreement to eliminate an entire class of nuclear weapons from Europe. No one had expected the European Missile Crisis to end this way. The story begins in 1979, when the Western Allies were worried about the Soviet Union’s buildup of SS-20 nuclear missiles aimed at Western Europe. Under pressure from the Carter Administration, NATO issued a threat, if the SS-20s were not removed, NATO would install new American missiles in Europe. The threat revived the dormant anti-nuclear movement in Western Europe, giving them an anti-American tone. In 1981, President Reagan made a proposal that the US would cancel deployment of the missiles if the Soviet Union would dismantle all the intermediate range missiles it had pointed at Europe. This was the “zero-zero” option. The Soviet Union was entering a period of change with three leaders dying in three years. In 1986 Soviet leader Mikhail Gorbachev offered to accept the “zero-zero” option and in 1987 the INF agreement was signed. 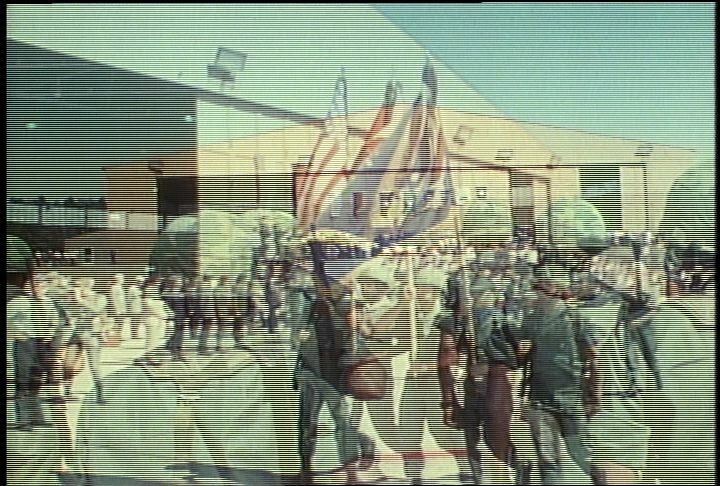 Chicago: “War and Peace in the Nuclear Age; Zero Hour; Reforger: Inspecting NATO Troops,” 07/01/1976, WGBH Media Library & Archives, accessed April 21, 2019, http://openvault.wgbh.org/catalog/V_BF1BCBF2F1FB4E58AA82C52322B8535D. MLA: “War and Peace in the Nuclear Age; Zero Hour; Reforger: Inspecting NATO Troops.” 07/01/1976. WGBH Media Library & Archives. Web. April 21, 2019. <http://openvault.wgbh.org/catalog/V_BF1BCBF2F1FB4E58AA82C52322B8535D>.